I Saw the Devil (Akmareul boatda) is movie by one of my favorite directors - Jee-woon Kim, featuring, as he often does in his movies, two of the finest actors Korea has to offer Byung-hun Lee and Min-sik Choi in a grotesque and suspenseful thriller involving serial killer(s). Kim Soo-hyeon (Byung-hun Lee) works a secret agent in South Korean government, his fiance is kidnapped and brutally murdered by serial killer. Using his connections and skills he quickly comes upon Kyung-chul (Min-sik Choi), but instead of unleashing his revenge right there on the spot, he decides to bring prolonged suffering against the man who took his love away, to show him what amount of pain one has to suffer after such a loss. A cat and mouse game begins. But is it a game worth playing for Kim Soo-yeon? 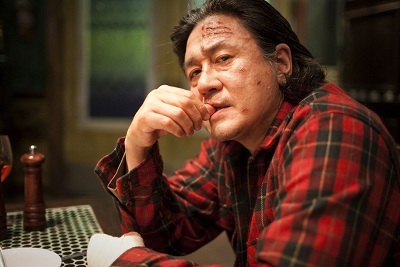 This movies is driven with pure, distilled vengeance, a theme that is really common and well portrayed in Korean cinema. Both actors are great for their roles, you can see pure evil in the eyes of Min-sik Choi character, and how good and evil starts to stir and mix somewhere deep inside eyes of his adversary played by Byung-hun Lee. 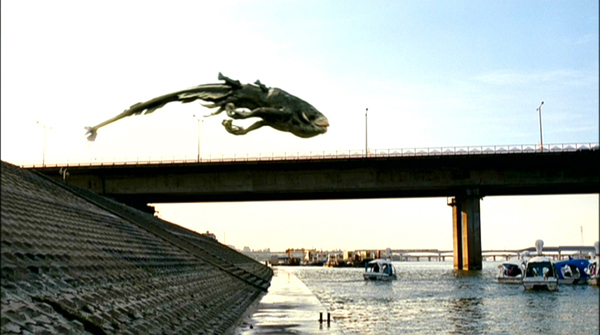 Prior to theatrical release in South Korea it was twice refused acceptable rating for showing in cinemas, forcing Jee-woon Kim to cut around 90 seconds of footage before it was accepted. That's how disturbing this movies is. As with The Chaser, it's another masterpiece about serial killers from Korea. 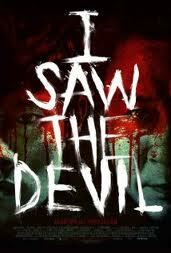 If you enjoy movies like Se7en, Vengeance trilogy and such, there is no reason why you should't watch this one. Blu-ray | DVD from Amazon. Bly-ray (UK) | DVD (UK) from YesAsia. 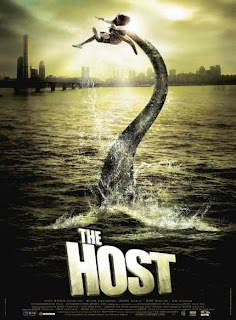 The Host (Gwoemul) is one of the biggest Korean movie projects of recent times, directed by talented director Joon-ho Bong, featuring great cast, it went on and made a lot of money locally, becoming one of the highest grossing movies, gained international following, and was successful in many festivals abroad. 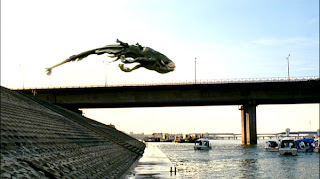 It's Seoul, a fine sunny day in a park on banks of Han river, when suddenly someone spots some kind of creature hanging under the bridge... moment later it disappears only to emerge on the shore and wreck panic among vacationers, amid them dawdle father Park Gang-Doo (Kang-ho Song) whose daughter gets kidnapped by the monster. With budget of only 10 million dollars, working with Asian designers and New Zealand CGI professionals director managed to create something that in it's quality rivals and surpasses most monster and disaster films coming from Hollywood, where such sum of money is pocket change and barely enough to cover some actor fees. As a disaster movie it touches many themes, including environment protection, politics. Displayed in satirical way is how Koreans feel about presence of US bases on their territory, which in movie are origin of the creature. Movie being critical of US in many ways even earned it fame among North Korea officials, which is a rare occasion for South Korean movie. Despite it's many political commentaries about US, it's still an entertaining monster flick. Many western critics put it on their list of best movies of that year. Quentin Tarantino listed it as one of his favorites. Hollywood signed remake rights, but not much of it has been heard since.